Time to explore Bali's exotic, black sand beaches located all over the island. Some are as near as Canggu and others lie to East, North and Northwest of the island. Why stick to just plain white sands or golden bays when you can play on charcoal-coloured beaches too? If you're thinking, "Wow it seems like Bali really does have it all," – we think you're right. Read more to see the 7 must-visit black sand beaches in Bali this week. 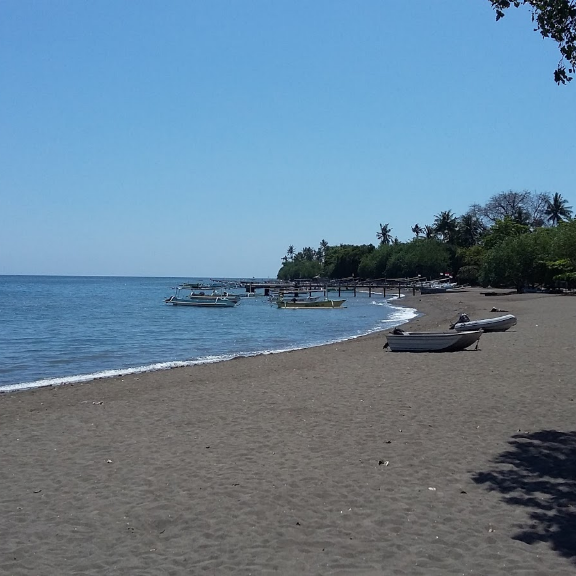 Located in the village of Amed, Karangasem, this famous beach's black sands are adorned with smooth black rocks, giving the beach a beautiful and unique edge. The waters here are calm and inviting as the beach is cocooned in a lagoon-shaped nook thanks to the soaring hills along the shoreline. Amed is a haven for those who love to snorkel and dive, also for those who love photography and those just looking to relax and unwind in rustic settings. 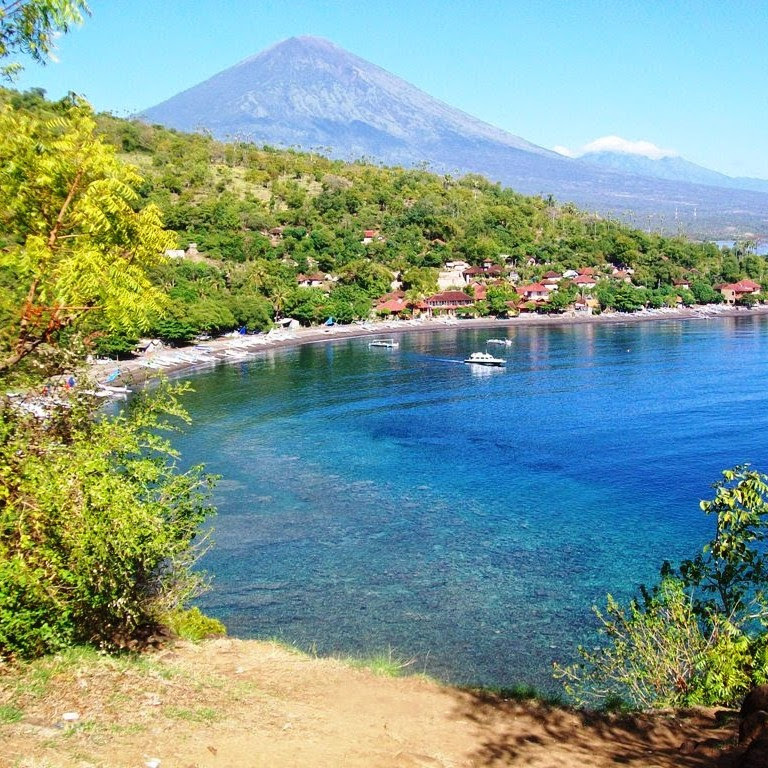 Located in Buleleng, North Bali, the locals said that the name Lovina comes from words 'Love' & 'Ina' which means Indonesia. A trip to Lovina will take you only 1.5 hours drive, and it is a great option if you want to get away from the hustle and bustle of South Bali. 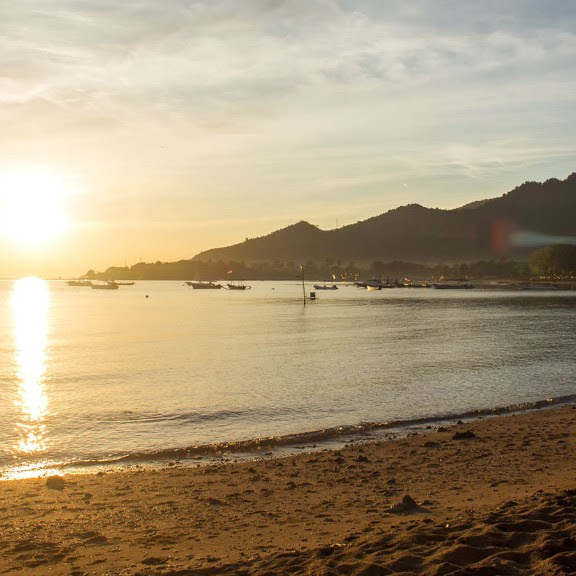 The town of Lovina is located within a beautiful mountain range that dominates the landscape on one side and the quiet shores on the other. The town has a quaint feel to it,, with a quiet ambience during the day and a vibrant nightlife in the night. Pemuteran is a quaint little beachfront village situated on the northwest coast of the island. The tourism focus here is definitely on scuba diving, with its enchanting underwater world in the Bali Sea. There is so much to see beneath the water’s surface. From underwater temples to spectacular reefs, private beaches, islands and wall dives – all with calm water, almost no currents and crystal clear water, Pemuteran is a diver or snorkeler’s dream. It is also the ideal option if you want to go exploring to the quieter side of Bali. This black sand beach was named Purnama Beach as it is the site to many ceremonies and rituals for the local Balinese during full moon. 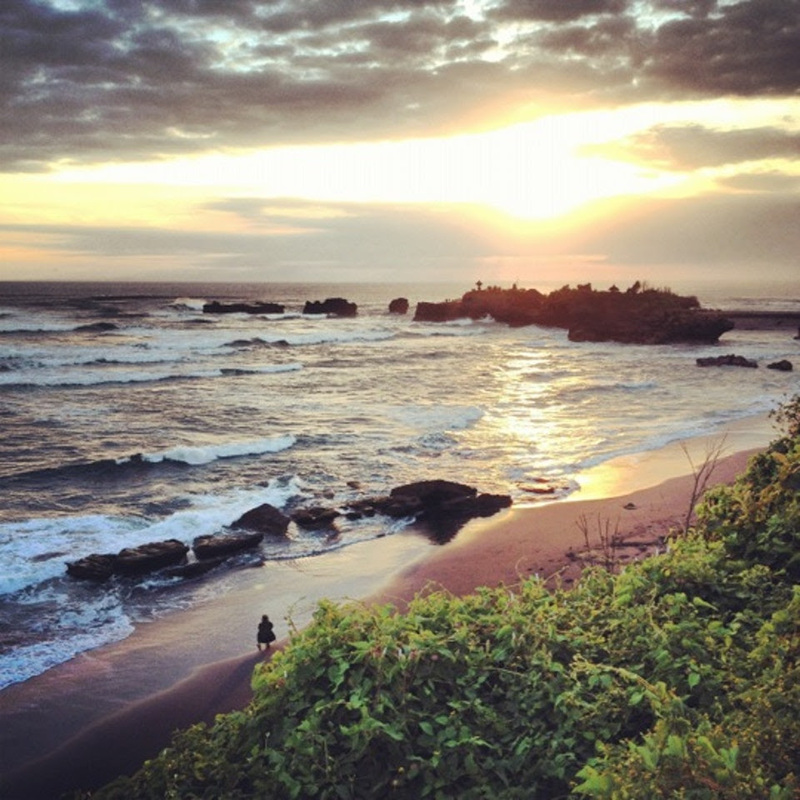 Located in Sukawati, Gianyar, this beach can be reached in 50KM from Denpasar. Near the beach, there is a unique restaurant called Standing Stones Restaurant where you can find big stones stand on the ground with a beautiful panorama. As common beach in Bali, Purnama Beach is also used for traditional ceremony by locals like melasti. 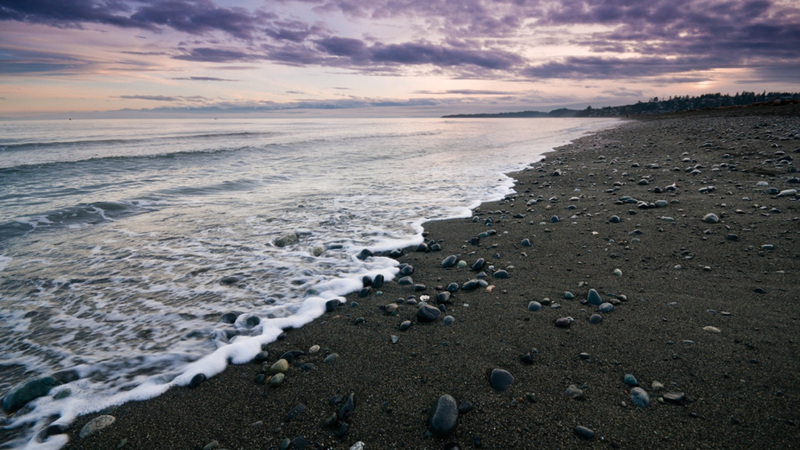 Located in Takmung, Klungkung, Lepang beach is a beautiful stretch of black sand which sparkles in the sun. The sandy area is expansive and tranquil, clean and pristine and away from any crowds and noise. The sounds of the waves are therapeutic to say the least. Here also, you can find the magnificent Wyndham Tamansari Jivva Resort, a five-star resort nestled amidst acres of verdant nature and the breathtaking Jivva Beach Club, a fantastic beachfront location that faces the shorelines of East Bali's most exotic black sands beach. Everyone is welcomed to have brunch, lunch or dinner at the Jivva Beach Club or simply come by for a relaxing cocktail or two. Chill in the contemporary open air bamboo structure or on the colourful beanbags on the lawn. There are also little booths that are perfect for couples looking for a romantic spot while watching the sunset. Every Saturday, a DJ spins cool tunes to accompany your sunset sessions, so do come by for Happy Hour – Buy 1 Get 1 Free for cocktails and beer. Wyndham Tamansari Jivva Resort Bali is a breathtakingly beautiful 5-star resort nestled amidst 3 hectares of verdant paddies and a lush Balinese garden facing the exotic black sand beach and crystal clear waters of the Lombok Sea. Perfect for those seeking a retreat from the stresses of life, the resort promotes wellness and balance amidst nature that blends seamlessly with its modern designs, rooms and amenities. To get to Wyndham Tamansari Jivva Resort, it is an easy one-hour drive from the Ngurah Rai International Airport. The resort is only minutes away from Padang Bai, Keramas Beach famous for night surfing, Goa Gajah and the Bali Safari & Marine Park. In addition to its spectacular setting, you’ll find a host of wellness facilities here to aid in your retreat including a yoga and meditation centre housed within a beautiful bamboo structure. At Tirta Spa, indulge in holistic body and face treatments in individually-built thatched jungle huts created to enhance your rejuvenation journey. The spa focuses on a non-clinical and holistic approach based on traditional healing techniques using organic and natural Balinese ingredients. To get the blood pumping, sweat it out at Tirta Gym with cardio and resistance equipment, free weights and even a Sauna room! Healthy eating is easy at Bumbu Restaurant which also serves a myriad of mouthwatering Balinese, Indonesian and International Favourites. Cocktails are available every day at Senja Poolside Bar but the jewel in the crown is definitely Jivva Beach Club, a spectacular open-air bamboo structure built on a sprawling green lawn overlooking the beach. Open to non-staying guests, Jivva Beach Club is the epitome of relaxation, indulgence and taste and guests are welcomed to visit for breakfast, brunch, lunch and dinner or even for cocktails and drinks! The resort’s Head Chef brings decades of culinary expertise and experience into every thoughtfully prepared dish, creating exquisite delights that are unsurpassed in flavour and presentation. Each beautifully appointed rooms feature stylish decor accented with authentic local textures. Choose from the Resort Room, Deluxe Room, Jacuzzi Suite, Pool Suite or Private Pool Villa all with unmatched modern interiors, amenities, garden or ocean views. So kick off your shoes in this sumptuous beachfront retreat and get away from it all in a tropical and tranquil environment. Those in Canggu looking for a quiet spot away from all the crowds can head towardsCemagi Beach, also known as Mengening Beach. The drive to this beach is amazing, as you'll pass by acres of rice fields before reaching the beach at the very end of a small road. This is an exotic black sand beach that is located a dozen or so steps below, a beautiful strip of sparkling black nestled amidst tall rock formations and the sea. When you're there, you'll see there are some large rocks on the beach which leads out to the sea, and on it, a small temple called Gede Luhur Batungaus Temple. Some people have likened this temple to Tanah Lot, as it appears somewhat similar from a distance. 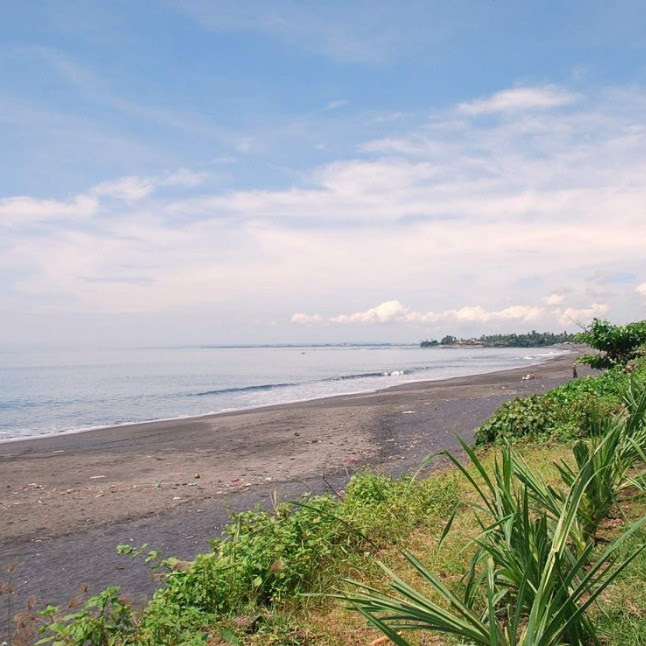 Located in Kusamba, Dawan, Klungkung, this black sand beach is still exist with its exotic ambience and fishermans' life. In this beach, you will easy to find food stalls which offer seafood menu. Salt industry is also still on going in this beach with an old method of processing salt. The waves on this beach is not strong enough. So, for those who like to experience fishing like a fisherman, Kusamba Beach is that place.